Revlon is an industry-leading cosmetics brand synonymous with modern glamour. Wanting to translate the iconic brand into an all new digital positioning, Revlon first tasked Squeaky with implementing an updated web presence. 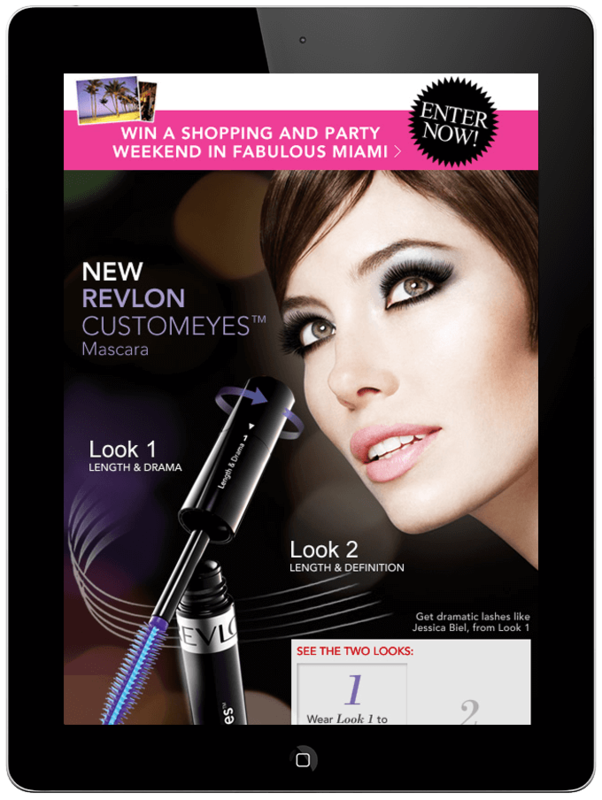 With the relaunch of Revlon.com, Squeaky developed an industry-leading site that created an engaging experience for end-users featuring a TAAZ virtual makeover and videos. The website went on to receive five prestigious web awards as well as garnered notable press. Capitalizing on this success, Squeaky then designed and developed a Revlon Facebook presence. 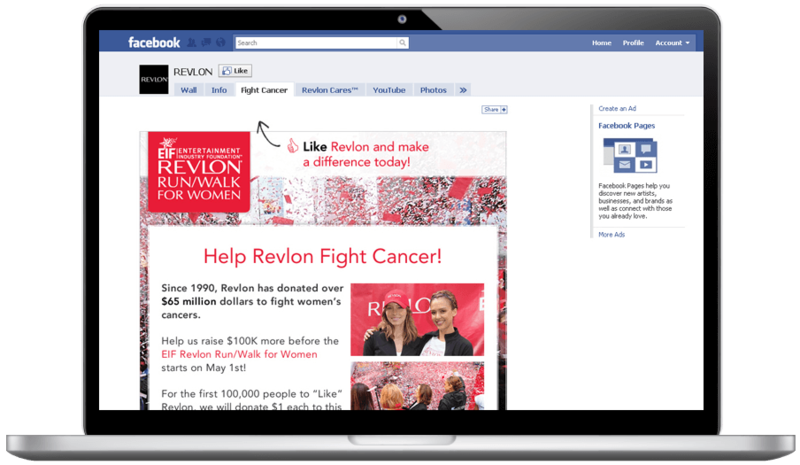 With a strong communication strategy, notable campaigns geared towards philanthropy such as Revlon Run/Walk and strong product promotions/contests we have been able to grow a large community on Facebook, channeling important dialogue and feedback for Revlon. We provided Revlon with a Fight Cancer tab that highlights the Run/Walk event, provides links to the Run/Walk site where users can register to participate and positions Revlon as a leader in the fight against women's cancer. This resulted in a growth of 180,000 Facebook fans over a 24 hour period with over 5,000 wall posts! To promote their latest product: Revlon CustomEyes™ Mascara, Squeaky created a gorgeous Facebook landing page featuring Jessica Biel. Utilizing Flash, we created a seamless experience that visually exhibits the unique difference between the two looks that can be achieved with this new mascara. We also used this opportunity to promote Revlon's Day to Night Giveaway Sweepstakes, which gave its fans the chance to win a trip to Miami, Florida. During Fashion Week, Revlon's Global Artistic Director, Gucci Westman is usually behind the scenes but we figured we'd give Revlon's Facebook fans a backstage pass to check out the trendsetting looks she is creating for Fall 2011. By creating a tab featuring different brands like Rag and Bone, Luca Luca, Zero + Maria Cornejo and Oscar de la Renta, we've highlighted the different looks that Gucci has come up with and provided fans with a list of products used to create each particular look.